Since we just introduced the first-ever American Premium tank destroyer, a little celebration is in order, right? 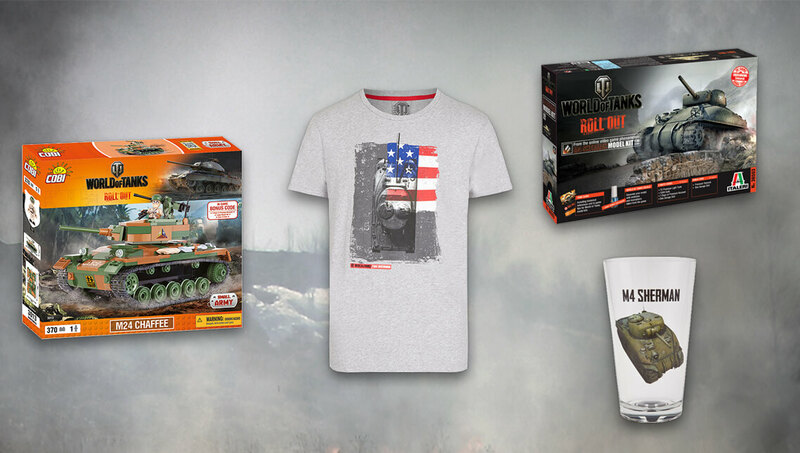 To welcome the brand new TS-5, the Wargaming Store thought of a little something: up to 50% off the American gear! Whether you want to get a new T-Shirt for the sunny days or fill your free time with a Sherman model or a Chafee construction blocks, we have something in store for you. We even have a Sherman Pint Glass waiting to be filled, just to keep you hydrated. It would be a shame to refuse these offers, so jump to the Wargaming Store right now and let your inner Uncle Sam take control. Hurry though, you only have until 17 April at 23:59 CEST (UTC+2). Roll out the American way!